Apple had heard tales of some ordinary people who not only didn’t want to spend $500 on a tablet, but also liked a 7-inch screen size too. However it didn’t believe such silly stories, and filed them away in the same drawer as ghosts and goblins. 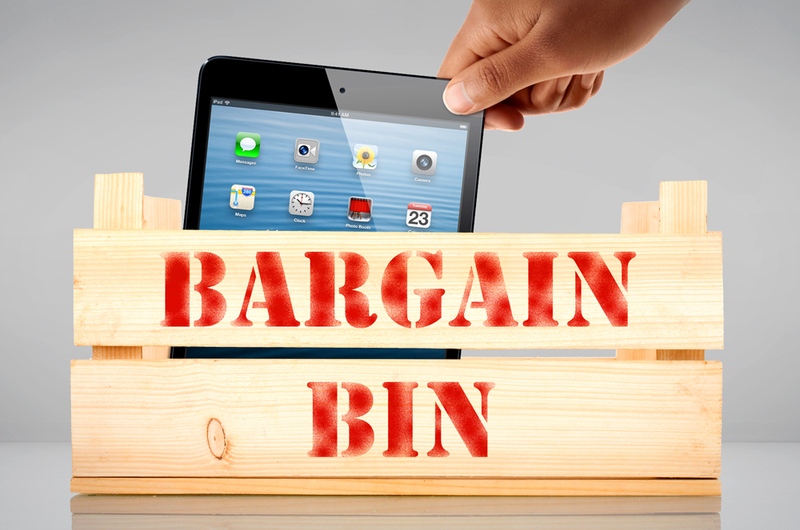 Then, Amazon and Google came up with really cheap 7-inch tablets that sold by the bucket load. This presented a problem. Apple never thought there was a market for mid-size tablets – Steve Jobs had told them so – but its competitors were proving it wrong. For the first time in a while, Apple needed to react, and in a market it simply didn’t understand. The answer, as we learned yesterday, is that they won’t. When Apple’s Phil Schiller took the stage to unveil the iPad Mini, he took direct aim the Nexus and Kindle Fire HD. But the numbers show the new product has no clear advantage over its competitors, and one number more than any other proves that Apple has no interest in engaging Google and Amazon in a race to the bottom, where $199 tablets are sold. The iPad Mini’s starting price is $130 dollars more. That’s still the cheapest device that Apple has brought to market, outside the iPod line, but by building something to a price point, it couldn’t stuff something new and exciting inside. So we’ve got old, cheap technology in a fancy new skirt. The iPad Mini is a product that was exciting in 2011, when Apple last introduced a tablet with a 1024 x 768 resolution and an A5 chip. Its only trick is to get a bit smaller, a fact Apple even tries to cover up with that guff about it being a “concentration of, not a reduction of the original.” Its only real ace card is the App Store, where 275,000 apps specially designed for a tablet await iPad Mini owners. The result is a compromised product made the Apple way – expensively – suited to a very particular segment of the market. Those flush with cash will want an new, full-size iPad with its gorgeous Retina display and sparkly new processor, while everyone who wants the best mid-size tablet for the money will buy a Nexus 7. The iPad Mini is for people who fit somewhere in-between, as well as the legions of gurning fans who’ll buy each and every new Apple product regardless. So is the iPad Mini Apple’s first, true budget device, built down to a price especially for the low-cost crowd? Nope. What we have is a beautifully designed product using technology that has been surpassed by its rivals, along with a user-friendly operating system backed up by the strongest app eco-system in the mobile world, all at a considerably higher price than the perceived competition. In other words, the iPad Mini is a normal Apple product, and it’ll almost certainly sell like one too.